We are going to kick off 2016 with Janapar an incredible story of adventure, love and enlightenment. 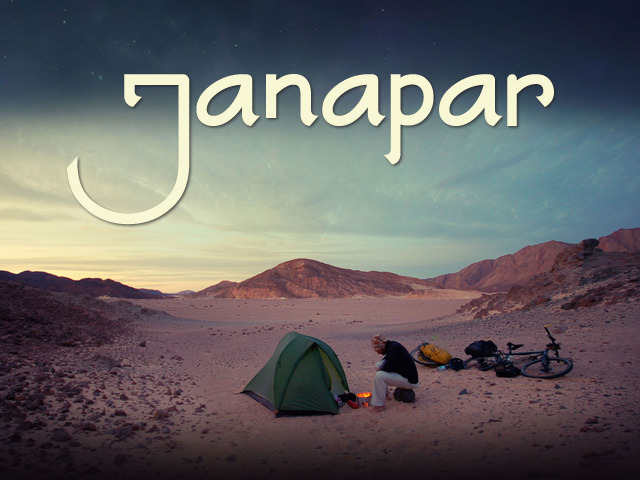 Janapar is an award-winning true story, filmed over four years in thirty-two countries by one man on a bicycle. 23-year-old Tom Allen is all set for a 9-5 career in IT, trouble is, he can’t help wondering whether there’s more to life. So Tom sets off on the ultimate adventure: cycling around the world. Despite his lack of experience, Tom cycles and camps his way across three continents, encountering a vivid cast of friends and foes. But the journey takes an unlikely detour when Tom meets Tenny, a feisty Iranian-Armenian girl with dreams of her own, and hits a crossroad. Should he give up his grand plan for the girl he loves, or cycle off and risk missing out on the greatest adventure of them all? His decisions lead him to the depths of the Sahara desert, where – amid challenges unimaginable – he catches a glimpse of the answer he set out to find.